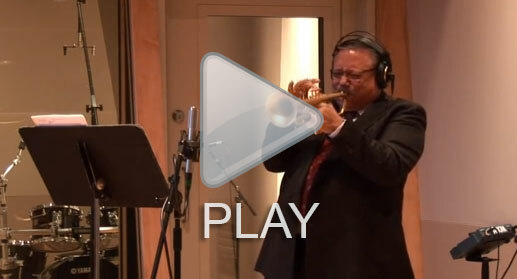 Arturo Sandoval demonstrates his trumpet and piano recording techniques in the best way possible, laying it down in the studio. Each of these videos feature Arturo soloing on the trumpet and then doing some extraordinary piano playing. For the trumpet demonstrations, engineer Don Murray removed Arturo’s solo tracks from two recordings featured on Auturo’s record “Dear Diz (Every Day I Think of You)” and Arturo recorded new solos. Recording chain Trumpet: Royer R-122 and SF-24V into Millennia HV-3D preamplifier. Bricasti reverb. Recorded to Pro Tools. Recording chain Piano: Royer SF-24 and two Mojave Audio MA-300’s into Millennia HV-3D preamplifier. Recorded to Pro Tools. Trumpet – one R-122 close mic, with an SF-24V at a distance and blended for added dimension. Piano – One SF-24V at the knee of the piano, with two Mojave Audio MA-300’s set in Cardioid and spread out. 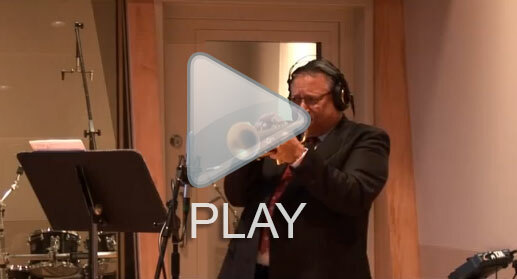 Posted in Arturo Sandoval, Brass, Piano, R-122, SF-24, SF-24V, Trumpet, Video.